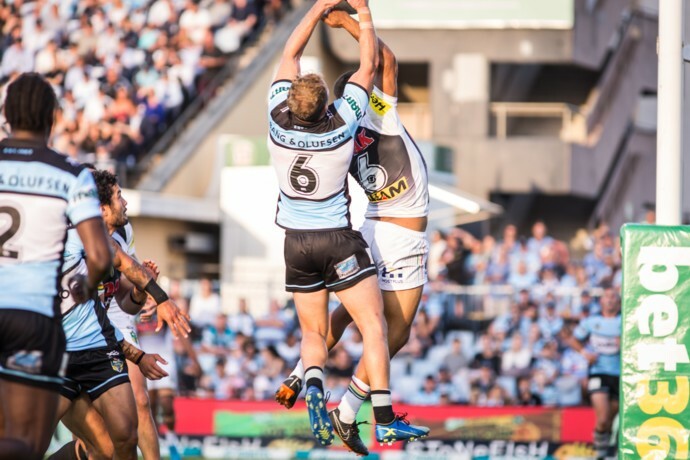 If you had tasked a Hollywood scriptwriter with penning the tales of the 2018 NRL Finals, they almost certainly would have included a clash between Penrith and Cronulla. Not only is it the first time these two clubs, who both entered the competition in 1967, have met in a Finals game, but the sub-plots here are mouth-watering, headed up by the much-hyped battle between five-eighths James Maloney and Matt Moylan. All year fans and commentators have talked about who got the better of the ‘swap deal’, now we have a legitimate test to answer the question. And what about the Luke Lewis twist to the story? Once a proud Panther, now a Shark, facing what could be his final 80 minutes on a rugby league field. The club that gave him his start in the NRL will either end his career on Friday, or be left in his wake as he books a seat to Melbourne for a Preliminary Final. And predictably there’s been shots fired in the lead-up too, with both James Segeyaro and Paul Gallen throwing a little bit of extra heat into the contest. This is a Finals match with a Grand Final anticipation about it. There will be more feeling in this game than perhaps either side has faced all season, and the intensity will be epic – both on the ground and in the stands. Penrith were superb for the majority of the game against the Warriors last Saturday, again falling behind early but managing some course correction before half-time. They never looked like losing in the second half, with James Maloney and Nathan Cleary combining superbly to guide the Panthers into week two of the Finals. As for Cronulla, they put in an almighty effort against the Roosters but just came up short. Had a few more passes stuck at crucial times the result may have been very different. While the Sharks are deserved favourites for this match, there is an obvious advantage to Penrith coming off a victory. The Sharks have to pick themselves up off a loss and rediscover their confidence and form, while the Panthers simply need to carry on after a second half last week in which they didn’t concede a point. Cronulla will also be without Wade Graham due to a serious knee injury – another twist in the Hollywood-style plot as he would have liked nothing more than to secure victory against his old team. If Penrith are to win on Friday night they’ll need to produce a completion rate similar to what they achieved against the Warriors (87 per cent) and play a gritty style of game, with Penrith’s starting props in Trent Merrin and Reagan Campbell-Gillard crucial in dominating the forward battle in the early stages of the contest. While Cameron Ciraldo is unlikely to change his winning team, I would have liked to have seen Jack Hetherington named somewhere in the 17 – this game is calling out for his style of aggression. Cronulla are dangerous all over the park but if Penrith can shut down Moylan and Chad Townsend as easily as they did Blake Green and Shaun Johnson last week, they’ll go a long way to winning this one. Bring your defibrillator – like all good Hollywood flicks, this one won’t be resolved until the final scene. 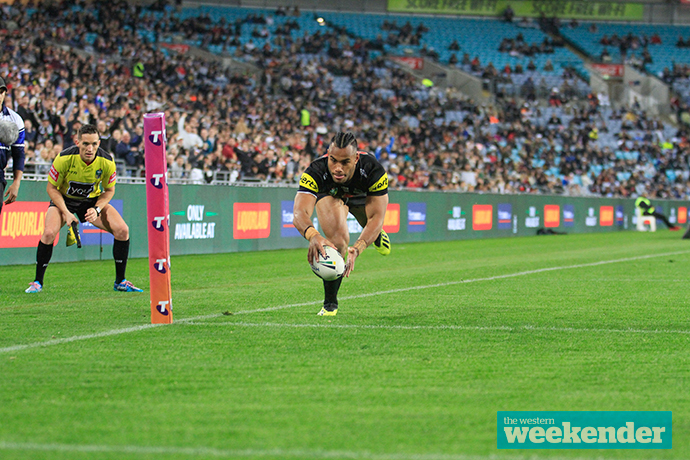 Penrith and Cronulla play at Allianz Stadium on Friday, September 14 at 7.40pm.